Gauhati High Court Recruitment 2017 - Latest job notification for 22 Private Secretary & Senior Personal Assistant Posts in Guwahati. Applications are invited by Gauhati High Court before 29 May 2017 for 22 vacancies. 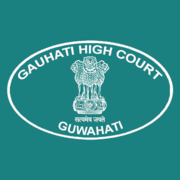 Gauhati High Court Private Secretary & Sr PA Admit Card 2019: Gauhati High Court has issued the Admit Card on 17 Jan 2019 for Private Secretary & Sr PA Exam 2019. Gauhati High Court Private Secretary & Sr PA Result with Marks: Gauhati High Court has published the result of the written examination held on 20.08.2017 for direct recruitment of Private Secretary and Senior Personal Assistant in the Principal Seat of the Gauhati High Court. The candidates who have secured 55% and above marks, have been provisionally selected for Stenography test (Dictation and transcription). To see schedule for your roll no, see attached PDF below. Weightage will be given to a Law Graduate. Candidates can apply for the posts online from Gauhati High Court's website http://ghconline.gov.in/. The online applications will open on 15/05/2017 and closed on May 29, 2017 17:00.